David and Tamela Mann is known as a dynamic husband and wife team that have become household names across television, movie screens, on stage and radio. They’re known for bringing good old fashion family values, laughter and music to whatever they do. David & Tamela recently sat down for an interview with Prestige Editor-in-Chief and spoke candidly about their album Us Against the World: The Love Project that will be released on Friday November 9th, their book Us Against the World: Our Secrets to Love, Marriage and Family that will be released on Tuesday November 13th, their tour Us Against the World Mann Family Tour and the premiere of their movie Merry Wish Mas that will premiere on TV One on Sunday December 2nd. David: When talking about Us Against the World tour. We wanted to have something that we could actually and physically go out and be a ministry to, for us, and our marriage ministry, but we wanted to do it where it wasn’t just a concert, it wasn’t just a comedy show, and it wasn’t just a conference. We wanted to do something that was an experience. So, we came up with the concept of having it all in one night. And so, we start the whole thing off with the whole family doing the title song. Tamela: Us Against the World. And then my son kicks it off with a big like family reunion back yard party. He’s a DJ, so he gets it all crunk and all hyped up. David: Do they still say, “Crunk”? Tamela: Well, I’m old so it’s okay. David: Okay, well, crunk. I think it’s lit now. Tamela: Then my daughter Tia comes out and she does a neo-soul vibe set. David: And she does a tribute to the Queen, Aretha Franklin which is a really nice tribute. Tamela: And then David comes out and he does comedy. And he talks about our 30 years of marriage, and he’s talking more on love. Tamela: I come out and I do the gospel portion of my upbeat songs and then we kind of take a roller coaster ride. We start out fast and we slow it down. Tamela: And then we also incorporate a love set which are songs from our new project, Us Against the World: The Love Project, where me and David have a collaboration album that we’ve done together. David: Now, we start the love set off with some of our friends and family to give us what their definition of love is, and so we video that to introduce the love set, and we give you the definition of what love is, what the biblical definition of love is, and they’re practical. And then Tam and I, for the first time, we sing together. Tamela: Finally, I got David in the studio and on the stage to sing with me which he’s been running from for quite a few years. David: I haven’t been running. I’ve just been quite honestly intimidated about singing with Tamela Mann, that’s what it is. Tamela: No need for intimidation. David: Yeah, I was intimidated. David: The end of the worship set is what we call it. Oh, and let me back up, while we’re doing the love set we kind of do this re-dedication with couples and we do a prayer, we pray for marriages and families. Tamela: And being unified in the unit and unity of marriage. So, we end with a prayer. David: And then Tamela Mann takes us to straight worship again. And when I tell you it’s an experience, it’s a roller coaster ride, it’s just a little bit of everything. So, we call it the experience. And so, you know, once everybody gets the experience, we all come back out and just thank everybody for coming out. So, that’s the, Us Against the World tour. Now, the book is, Us Against the World: Our Secrets to Love, Marriage, and Family. And so, what we do in the book is we take everybody on a journey, a journey of 30 years with the Mann’s. So, we kind of take you on our ups, and we take you on our downs, and there’s something in the book, even while we were writing the book we had to go back and revisit some things, issues, problems, situations that we thought we had already resolved. Tamela: That we had dealt with in our marriage. So, I’d say there’s a few skeletons that we talk about and be transparent about. Our goal is to encourage families, and give them that hope and inspiration that they can stay together and not give up on each other. Tamela: And staying committed to each other and not just tolerating each other, but loving each other through every up and down that you have, which you will have, in your relationship. David: We also definitely deal with some of the tougher issues that come up in our life like we have one where we talk about the art of arguing where we share our biggest argument that we’ve had in the book which started out real rough and rugged, but it ended up being funny because — you have to read the book because it didn’t quite go according to plan for me in my anger. Tamela: In the book we also talk about our blended family, how we’re a super-blended family and how we came together as one family unit. David: Yes and about revisiting the vows. A lot of couples may not understand what they’re fully getting into when they’re talking about revisiting and renewing their vows, or even saying their vows. So, we go back and talk about revisiting and renewing our own vows. Tamela: And we talk about the knock at the door, which was kind of a hard place in our marriage. David: To put it mildly. Tamela: It was five years into the marriage and we had the knock at the door and surprise! David: First, second, third, fifth? Tamela: Or below, since we had a new child coming and then having to deal with the other baby mama drama. So, he explained to me that it was us against the world, and he really made it plain to me. David: Once I sat her down and explained to her, “Look, I love my kids.” All of that, I’m a stand-up guy, I’m going to make sure I take care of my kids, but at the end of the day you are my first priority. It’s us against everything else. It’s us against the world. It’s us against anything that will come against us to try and tear us apart, and that’s what the whole, Us Against the World title came from. And even when we’re out on the road we say, “Us Against the World,” we’re not necessarily talking about the Mann’s against the world. We’re talking about the body of Christ. Tamela: We’re the people as a family unit. David: Yes all of us. Tamela: The “U” in “Us” means you as the family, all of us. And that all filters and lead into the actual album because it’s based off of the stories that we have in the book. That’s where the love CD comes from. Us Against the World: The Love Project. So, that all fits into it, and also into why David is singing some songs to me, and I’m singing some songs to him, and we’re also singing songs together. David: It’s our first project that we’re totally doing a whole album together. Tamela: It’s our love music. David: It’s straight love music. And part of the — I don’t want to say problem that we’ve had in the music industry is because Tam is such a gospel — known for her strong gospel roots. 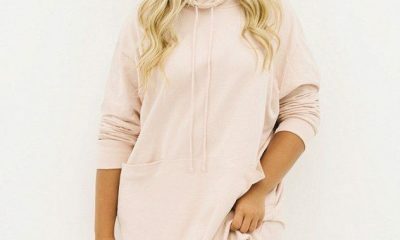 People kind of are looking at it like, “Is she trying to cross over? 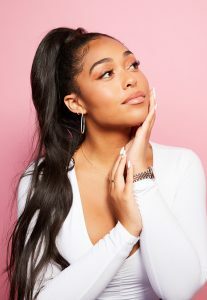 Is she trying to go R&B?” That wasn’t the goal. The goal was to encourage marriages. Tamela: And to just sing about love. You know, something from us, to us, for us, and to just actually show another side that, for one, that I’m in love with my husband, that I like my husband, and I like being with him, and I feel very secure in my marriage and the love that I have for him, and I wanted to share that in song. David: So, what we did was took the book and we sat down with some producers and my son put together a team. David Jr. is the brainchild behind the whole album. He pulled together some producers and writers. And the reason I was so afraid at first is because it’s been so long since I’ve been in the studio. And so, I guess it’s a bit of being insecure about singing, and then singing with Tam, and so once they got the song and tailor-made them just for me, and for my voice. Tamela: And they did. If you haven’t heard the album music yet, he’s done a wonderful job, and hopefully everyone gets a copy of it so you can actually get to hear my Christian Babyface. Tamela: I think it’s an amazing body of work that we’ve put together and I really hope that everyone enjoys it like we enjoyed writing and listening to it. Even my grand kids, they really inspired us because they’re really enjoying it as well. David: And some of the titles like, Mason Jar, we was able to explain to them how Mason Jar came about. Tamela: Mason Jar is a song, it’s talking about me as young girl, teenager, how most of my friends experienced love early, and boyfriends, and everything, and I never had that, but I finally found love that I can preserve like you do preserves in a mason jar, that I could package up and put in the jar and hold dear to my heart. So, that’s what Mason Jar is about, finally finding love that I can cherish forever. David: And then I’m doing a song on the album called Still Do. And it’s just where I’m re-dedicating my love, my vows, to Tam. It’s kind of me saying, “Look, I would do this all over again.” And so, there’s songs like that on there. There’s songs like, Feels Like. That’s your song. Tamela: Feels Like is a song that I’m singing to David when he touches me he makes me feel like a special girl, or special woman. I mean, it’s just a wonderful thing and it gets more in-depth as you go in the song, but he makes me feel like I’m on top of the world. Tamela: And then there’s another song that’s entitled Signs. Tamela: Which talks about when you want to be with your mate. David: In an intimate way. Tamela: You just kind of know what’s going on. David: You know the signs that you give. Tamela: It’s like a special touch, or special feeling, that they give us that makes us feel like we’re number one all the time for us to commune together. David: Or worship in a very spiritual way, hallelujah. You know, Us Against the World we call it, it’s a movement for us. It’s something that we just want everybody to join in because — our president — well, yeah. He’s talking about making America great again. Let’s make America great again, that cannot begin to happen until we get the foundation, the base, and that’s family. Husbands and wives unified, families unified. Tamela: Let’s make marriage great again. Let’s make family great again as well. David: And that’s when we’ll start to see America become great when we’re starting in the house, starting at home. Then it will start to infect and affect everything else around us. When it comes to their album entitled Us Against the World: The Love Project. They’re set to drop a soulful 10-song musical collaboration about resilient and enduring love. Listening to the album, you can feel the vocal chemistry that they share. Produced by David, Tamela and their son David Mann, Jr., Us Against the World: The Love Project is a candidly honest album chronicling defining moments in David and Tamela’s relationship. The title track “Us Against the World” features the duo’s fine vocal blend layered on top of funky, soulful grooves. On “Mason Jar” Tamela’s tender vocals pay tribute to her grandmother, mother and love of her life, David. The album reconstructs other ‘big reveals’ in the couple’s relationship, leading to “Signs,” the ultimate love letter to each other. The first single off the album is “Good Love,” a timeless romantic duet in the vein of one of the Motown classics featuring David and Tamela’s soulfully smooth harmonies. 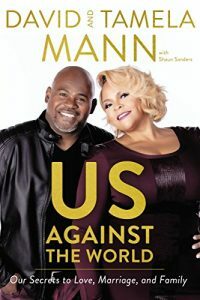 The couple is currently on tour and tells us that couples have come forth stating their stories are helping them to “heal [their] marriage[s].” Known for their musical talents, the Mann’s couldn’t be more excited to release their forthcoming album, “Us Against The World: The Love Project,” an audio compilation that also a compliment to their new book. Stay tuned for Part II of Prestige Interview with David & Tamela Mann in the December issue of Prestige. The hits just keep coming. Lori Loughlin and Mossimo Giannulli, who are facing up to 40-year-prison sentences if found guilty of their alleged involvement in the nationwide college admissions scandal, will now be audited by the IRS. 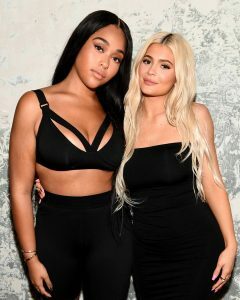 According to the source, the twosome allegedly wrote off William “Rick” Singer’s reported scam services as a deduction. “They are being audited for five years on their personal income taxes, along with three years for Mossimo’s business,” the insider reveals. The When Calls the Heart actress, 54, and the fashion designer, 55, pleaded not guilty to charges of fraud and money laundering on Monday, April 15, after previously rejecting a plea deal that included a two-year minimum prison sentence. “Her attorney told her not to take the deal,” a source said earlier this month about Loughlin’s decision. “They missed the opportunity for a plea bargain during the first round, and now there might not be a deal available for them to take,” she said. that neither girl participates in the sport, ensuring their entrance to the school. Mossimo was arrested on March 12 along with actress Felicity Huffman, who pleaded guilty to charges of fraud on April 8, while Loughlin was taken into custody on March 13. Both were released the same day of their arrests on $1 million bonds. 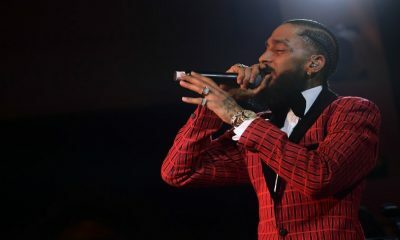 Nipsey Hussle‘s family and friends mourned the late rapper during a private viewing … one day ahead of the Staples Center celebration of his life with tens of thousands of fans. Close loved ones packed the Angelus Funeral Home Wednesday afternoon on Crenshaw Blvd. 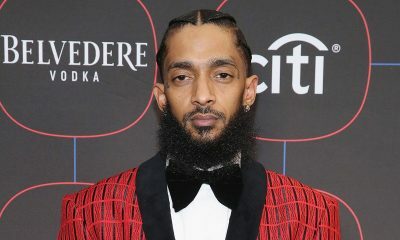 Nipsey’s brother, Samiel Asghedom, was among the attendees at the super secret service. 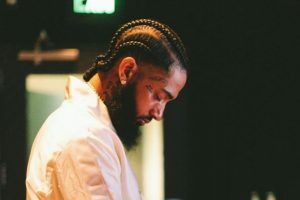 We’re told security was tight … several men had a checklist to make sure only invited guests — Nipsey’s inner circle — were allowed entry. There were also armed guards standing outside the building where Thursday’s procession will end. 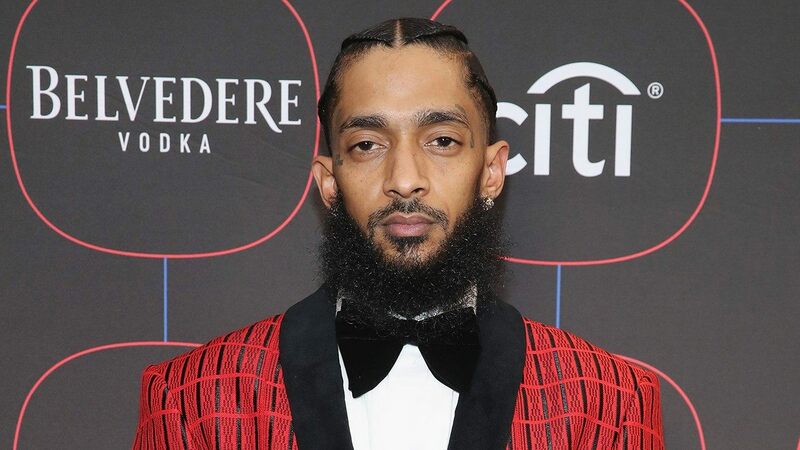 That procession will be preceded by Nipsey’s Celebration of Life, hosted at Staples Center for 21,000 fans, family and friends. As we reported … the free tickets were gobbled up within minutes and AXS, which handled ticket distribution, says it’s cracking down on scalpers. The event will be heavily guarded … with help from LAPD, members of the Nation of Islam as well as Staples Center personnel. Meanwhile, tons of fans have continued paying tribute outside Nipsey’s Marathon Clothing store … leaving candles, flowers and messages in the parking lot.